Today was an exciting day for many reasons. The fun started when I got to have lunch with Keira and Brenna who are friends from Babson. I met up with them around 1:30pm in Newmarket at the cafe Little and Friday. It was very good! It was fun seeing friends from home and being able to catch up on life at Babson and hear all about their trip. 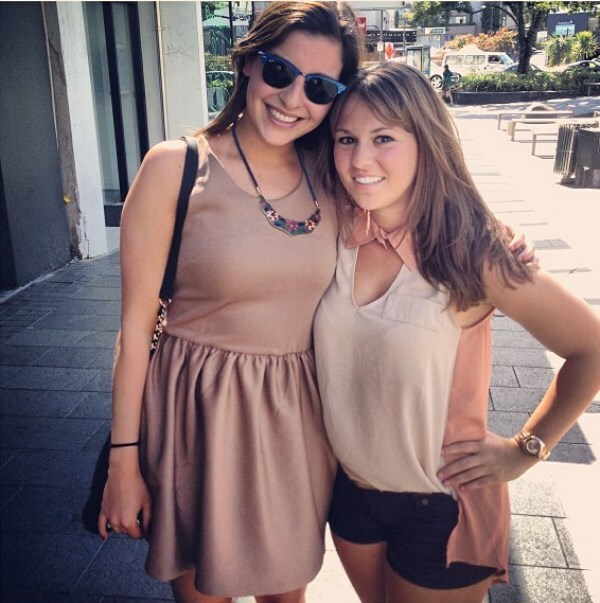 Brenna is actually from Hamilton, NZ and did an exchange semester at Babson in the fall. I remember during Orientation they announced all of the different countries our international students were from and when she stood up when New Zealand was called I knew I had to meet her. I found her after the presentation and told her about how excited I was to be studying in Auckland and it was cool meeting my first kiwi in America! I had to make it back to class so we sad our goodbyes and I was on my way. For the second time, in two days, I got to the bus stop just in time to see the bus driving away and I knew I was going to have to speed walk in order to make it back to class in time. Well, a fast paced walk turned into running and I ran through the doors of my class at 2:59pm. From Newmarket to campus in 30 minutes; that is pretty impressive. 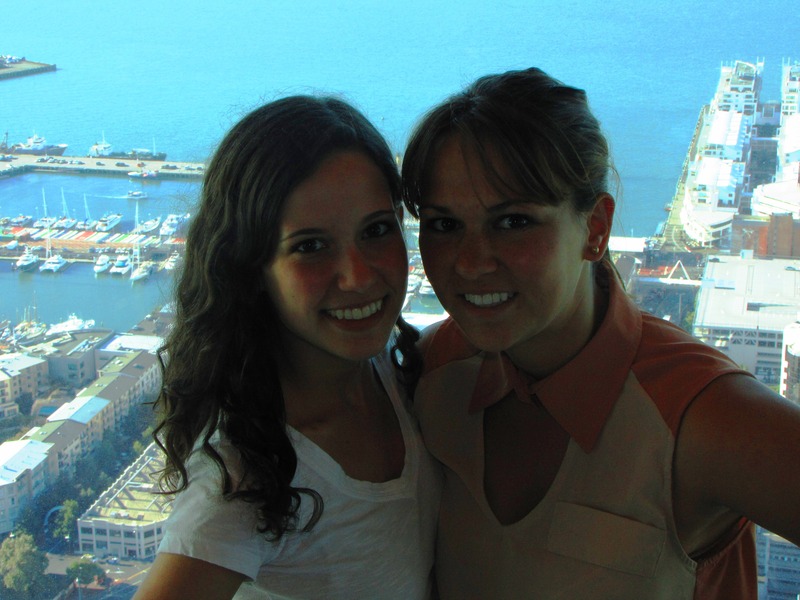 I could barely pay attention in my Fiance class because right after I would be on my way to jump off of the Sky Tower. Once 4pm hit I sprinted out, my nerves were starting to build and I was excited to see Gianna and Mom for the first time in over a month. Gianna immediately spotted me out and screamed out for me. After big hugs we went downstairs so I could check in for my jump. After I was fit for a very unattractive Jump suit and my harness was tightened so that I could not breathe, I was ready to go up to the 53rd floor. There were two others older men in my group, and the both of them kept talking about how nervous they were, this did not help me relax. I was forced to watch two others jump before it was my turn. My harness and shoes were checked twice more before they snapped my harness to the first safety line. I was told to take a picture in front of the wheel that holds the line that I would shortly be attached too, and all I could force out was a very shaky smile. They then attached me to both railings and I began to walk the plank. This is when the GoPro on my hand was turned on, and well the rest of the story is on the video below. When I landed from my 600 foot jump 11 seconds later, my legs buckled when I hit the floor and they were numb for another five minutes. The jump was awesome and I am considering doing it again. Once everyone in my group had reached the ground, Mom, Gianna and I went back up to the observation deck. It was so cool being above the entire city and I had the opportunity to show Mom and Gianna every angle of the city as we walked around the top floor. I pointed out Mount Eden, the Domain, the Maori War Museum, Parnell, their hotel, the University of Auckland, Queen Street, Rangitoto and Davenport. On the 53rd floor, the floor was made of glass and it was very strange standing and looking down at the unimaginable distance. After some time, we all grew very hungry and headed over to the SkyCity Hotel that housed The Grill by Sean Connolly. For the first time, in a long time, I was going to have some good eating!